Congratulations on beginning the natural healing process and choosing Acupuncture! To save time, please download our New Patient Form and fill it in prior to your appointment. Email the completed form to us, or bring the form, and copies of any recent lab work or imaging reports you may have, if applicable, to your first visit. If you need to fill out the forms in our office, please allow about 20 minutes to complete them. Bring a list of all medications, supplements, vitamins and herbs you are currently taking. As a new patient, your initial visit will last approximately 1 to 1.5 hours (2.0 hours for complex, serious health issues). During the initial consultation, we’ll assess your health condition and formulate an individualized treatment plan, unique to you. We will work to correct the root cause of your problem, in addition to relieving symptoms with Acupuncture. Herbal formulas will be prescribed, if suitable. Wear loose, comfortable clothing if possible or towels will be provided if needed. Acupuncture is best received after eating – no acupuncture on an empty stomach to avoid lightheadedness. Most patients experience deep relaxation or sleep during their sessions. In consideration of our environmentally sensitive patients, we ask that you refrain from wearing strong scented perfumes. For facial rejuvenation patients, please arrive without makeup and a freshly cleansed face, if possible. Rates subject to change. Rates are time based. Herbal tablets may be returned unopened for a full refund. No returns or refunds on custom herbal medicine extracts and teas. There is a $45 fee for all returned checks. Payment is due in full at time of service. We are In-Network providers for Cigna and will claim bill insurance for you. For all other insurance carriers, we are out of network, and will provide you with a coded medical statement called a Super Bill for you to submit to your insurance for direct reimbursement of the portion they will cover for acupuncture benefits. Licensed acupuncturists in the State of California are considered primary health care physicians, therefore you can self-refer to begin treatment. We do not accept MediCal, MediCare, Workman’s Comp or Personal Injury. Contact our office to inquire about outcall visits to your home or studio lot. 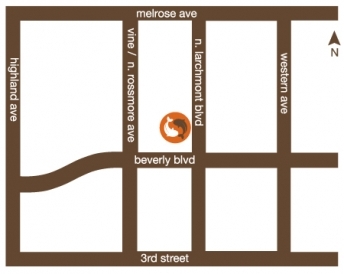 WellStream Acupuncture is located in the Larchmont Medical Building in Larchmont Village. Ample street parking or building parking is available. Please contact us at (323) 463-9355 or wellstreamacupuncture@gmail.com to schedule your appoint­ment. We look forward to meeting you and assisting you in your own journey to health and wellness.